d’mart Exclusif is the most recognized luxury and lifestyle brand in India. d’mart Exclusif brings together an eclectic and timeless ensemble of collectibles, hand-picked from world’s most admired and renowned design houses. d'mart Exclusif is also the pioneer in introducing a collection of worldwide limited edition representations of Indian deities handcrafted in Sterling Silver, Porcelain, Bronze, Crystal and Marble. Conceptualized and designed in India, these masterpieces have been handcrafted and chiseled to perfection by master craftsmen for some of the most sought after brands in the world. 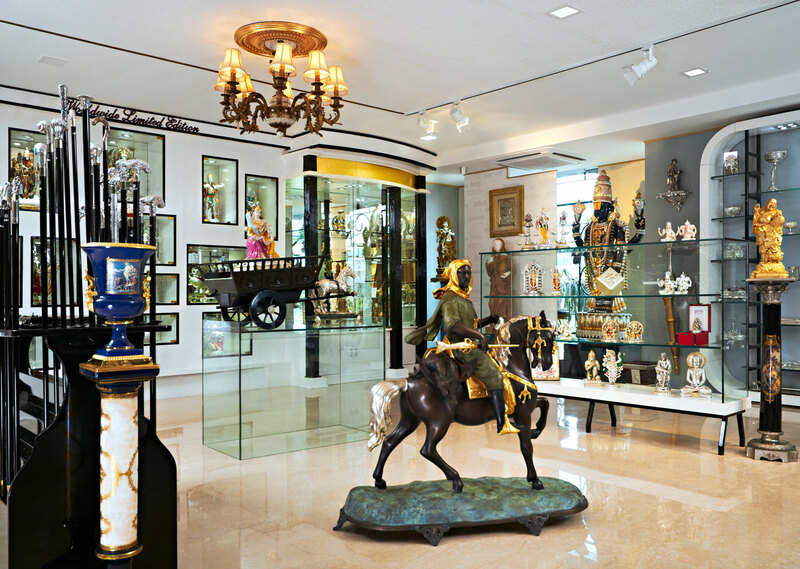 d’mart Exclusif includes home decor and gifting solutions to the connoisseurs of all things of timeless beauty and impeccable quality ranging from Silverware, Handmade Crystalware, Bronzeware, Handcrafted marble art pieces, Fine porcelain Figurines, Limited edition pieces etc. Each one of these has been handpicked from internationally renowned design houses from Spain, Italy, Germany, France, Austria, Hong Kong, UK and USA. d’mart Exclusif, is part of Dolphin Group, founded in 1989. Dolphin Mart Pvt. Ltd. is in Lifestyle Retail Marketing of imported rare collectibles ranging from the best in international home décor, art pieces, corporate gifts, furniture and furniture accessories under established premium brands namely d’Mart Exclusif (www.dmartexclusif.com), Woodmart Exclusif (woodmart.in) and elitaire (elitiaire.in) for very discerning elite.